BoonTunes mission is to showcase and support lovers of music and the arts. BoonTunes opened its doors July 4, 2015. 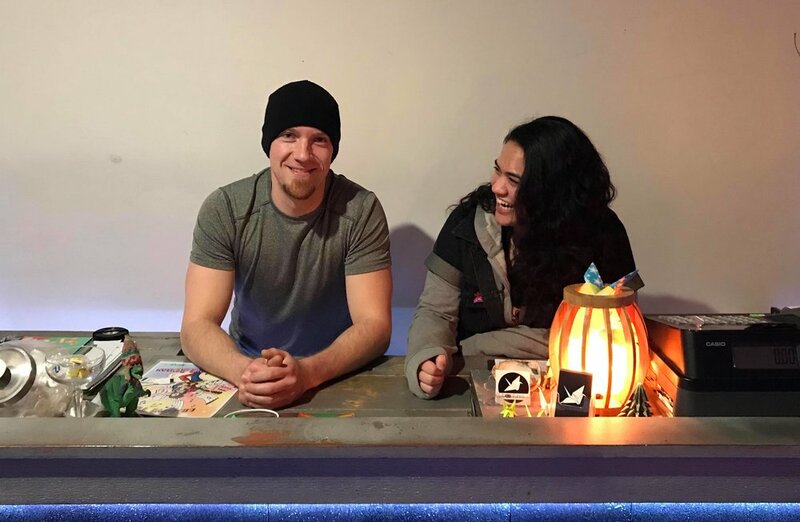 Pictured below is owner Justin Di Ricco and his lovely assistant AJ. Here at BoonTunes we work hard to create a space that is comfortable and fun for all.